When choosing the right court reporting firm, there a few things to keep in mind. Having more than three decades of court reporting under our belt, we have refined our techniques and our code of ethics to a standard of which we are quite proud. That being said, we have put together a list of qualities to look for when choosing a court reporting firm you can trust and rely on time and time again. Do some research and ask around about the court reporting firm you have in mind. You can read their reviews or testimonials online on sites like Google + or yelp. Have they worked with other attorneys you know and would they, or do they, use them still? Were they professionally dressed and were they on time? Be sure to visit their website and see what services they offer and if they service your area? When visiting their website take notice to if it is well written and up to date. How experienced are they and are they certified? How long have they been serving the legal community and what can one expect when doing business with them? Do they have enough availability to do last-minute depositions when called upon? Do they offer full litigation services? Are all of their services included in the agreed-upon price? All and all, finding a one-stop shop that is affordable and professional with a long history of outstanding transcripts delivered in a timely manner with great customer service is what you’re looking for. When choosing the right court reporting firm, look no further than Phoenix Deposition Services for all of your court reporting needs. You can even schedule a deposition today or speak to one of our highly-qualified staff members here at 602-230-2499. There are many wonderful Phoenix attractions perfect for one person alone or for the whole family to enjoy. First off, we have a list of hotels and corresponding websites to visit to get the absolute best rates while your here. We will also include our local hot-spots to keep you entertained and make the most of your visit to our city. Trivago will compare the rates of all the other local hotels and match you with the best price and best rated hotels to meet all of your needs. Talking Stick Resort and Casino – You can book a room, or simply enjoy the nightlife with many exciting events taking place every day and night. Valley Metro Light Rail – Can take you to any of the Phoenix attractions mentioned above for free if you show them your ticket stub. It is an inexpensive and easy way to travel if you don’t exactly know the areas of which your traveling. Westgate Entertainment District – This is an all-in-one stop for Phoenix attractions, including the Arizona Cardinals stadium, which have many events to entertain in the off season. There are also plenty of establishments to eat and drink socially nearby without having to go anywhere else. Phoenix Zoo – If you’re out with the whole family, this would be the perfect spot for the kids. They can do everything from feeding the giraffes to playing in the Slash Pad. Desert Botanical Garden – Experience and embrace the magnificent beauty of the desert through a variety of tours and activities at the Desert Botanical Garden that will make your visit unforgettable. We thank you for reading our blog and hope you found it helpful. If you have any questions or would like to speak with someone directly, we are always happy to help. 602-230-2499. This blog contains testimony tips for beginners. If this is your first time testifying at a deposition, remember the most important thing you can do is prepare and educate yourself on the upcoming events and your role in them. There is no question giving testimony adds a reasonable amount of stress to any first-timer’s case. 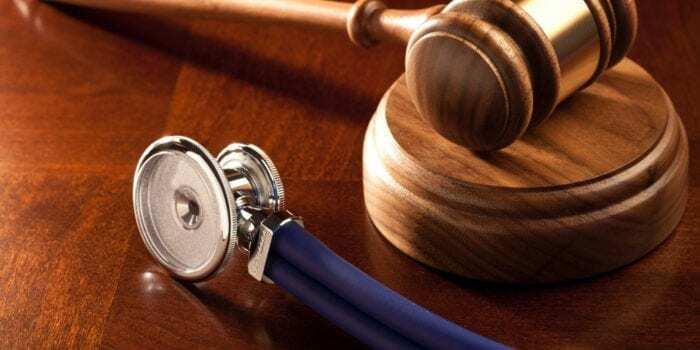 We recommend that you practice with your attorney as well as alone. Your preparedness and your knowledge of what is to come is your most powerful tool you possess in keeping your cool. Never let the line of questioning back you into a corner. It’s all right to say, “I don’t know” or ” I don’t remember.” Most witnesses believe they should know the answer already or that they have to remember while under the stress of questioning. Don’t answer anything until you know exactly what the question means and fully understand what you are being asked first. This is where you shouldn’t be afraid to ask the attorney to repeat or rephrase his question into terms you understand. By waiting to answer for a few seconds after the attorney is done asking the question, this will make transcribing the deposition much easier for the court reporter, plus the added benefit of a few more seconds to think before you speak. Try not to let the stress you may be feeling come off as annoyance or anger towards counsel or the line of questioning. This could make you look unfavorable or untrustworthy, when one of your goals during a deposition is to appear as a solid, likable and credible witness. For more testimony tips or to schedule a deposition with the best court reporters located in Phoenix, AZ, visit our website or call us today! 602-230-2499. This blog addresses video conferencing pro’s and con’s. We will also provide you with some quick and easy solutions to the potential con’s. Nearly every industry has been changed by the advancing technology of today’s modern world, including one of the world’s oldest professions, court reporting. To put it simply, videoconferencing is a realtime meeting between parties through the use of a computer, telephone or camera and an internet connection. Some may use programs or applications such as Skype to aid in this process. This type of communication is most useful in the event that necessary parties aren’t able to be in the same physical location but still need to hold court hearings, depositions, and consultations that may not be able to be completed via phone conversations or emails. Video conferencing is much more cost effective these days thanks to how widespread and readily available the necessary technology has become. Not only is video conferencing a faster way for witnesses, attorneys and other legal parties to conduct their legal proceedings, it’s also less expensive since no one has to incur transportation costs or pay for lodging. 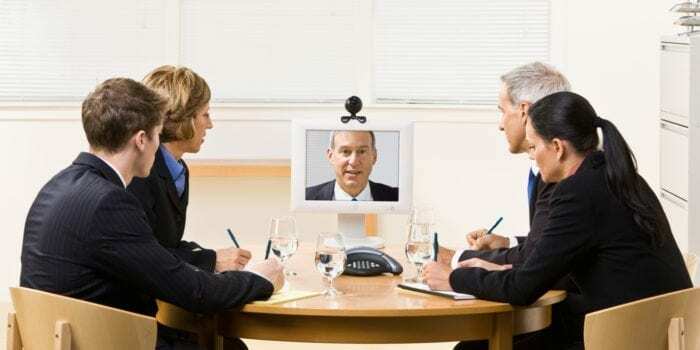 Another advantage of video conferencing is that it allows court reporters and attorneys to practice their cross-examination, transcription and court techniques while they are outside of a courtroom. When communication is done with high-definition technology, the learning experience is made that much more realistic. Another advantage of video conferencing with court reporting is that it allows for more collaboration. For example, there could be a traditional court reporter on one end of the video conferencing call and an attorney several states away on the other. There are limitations that come with traditional court reporting and the use of standard transcription equipment. 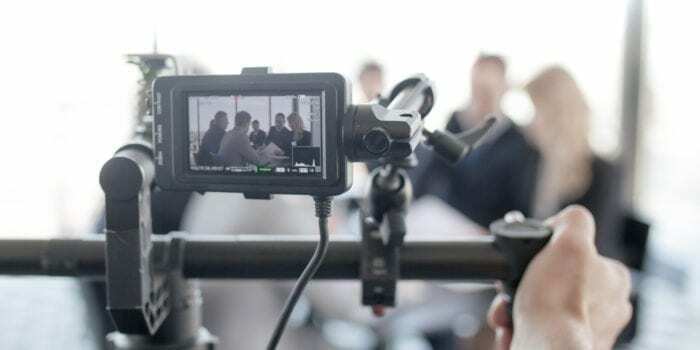 Those limitations can be eliminated through the use of digital recording equipment that records what’s being said from a variety of vantage points. The first is that no matter how good the equipment is, it will never be as good as physically being in the same room as someone. Then there is always the risk of failure in the internet connection or the equipment itself. That is why here at Phoenix Deposition Services we take every measure to ensure flawless delivery of every service we offer. Book a deposition today and see for yourself. Official court reporters vs freelance reporters is the topic of this week’s blog. There are two main categories of court reporters: freelance and official. When I tell people what i do for a living they usually assume I work directly for the Courts. Most people that are not in the legal field have no idea that freelance court reporters exist. However, did you know that a majority of court reporters work outside of the courthouse? According to the NCRA, over 70 percent of America’s 35,000-plus court reporters work outside of the courtroom. Here is a brief description of the difference between the two. 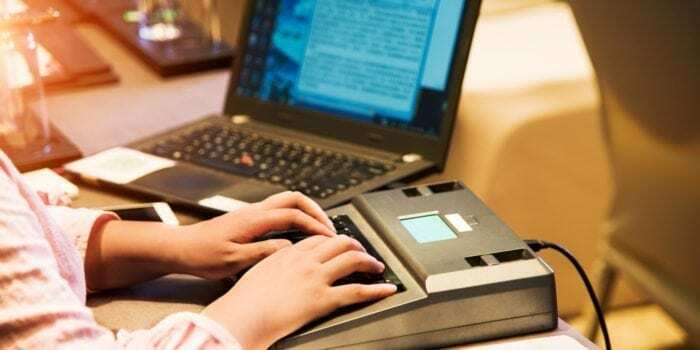 When you think about the court reporter in the courtroom recording a trial on his/her steno machine, you’re thinking about an official court reporter. These types of court reporters are employed by the judicial system. It is their responsibility to take the spoken word and transcribe it into text during legal proceedings in the courtroom. They must ensure that they produce an accurate and complete record of the proceedings. Freelance reporters, on the other hand, are often independent contractors or work for a court reporting firm. They are hired by law firms and other organizations to cover depositions, arbitrations, meetings, business sessions, and much more. Due to the varying types of assignments, freelance reporters often travel to different locations and work long, rigorous hours depending on the demands of job. Even though they do not often work in a courtroom, freelance reporters still play a significant role in the legal process. Take depositions, for example. During a deposition a court reporter is not only needed to accurately record a witness’s oral testimony but he can also administer an oath to the witness and swear them in. They, too, ensure an accurate and complete record of the proceedings. We hope you found this blog to be fun and educational. We sincerely thank our readers for taking the time to read our little nuggets of knowledge. If you need a court reporter who knows every in and out of the profession, look no further and schedule a deposition with us today!